As of this writing, 47 people have been killed and many more injured by the earthquakes that have struck the Japanese island of Kyushu since April 14. These tragic events have had economic ramifications as well, offering a reminder that business risks can be hard for outsiders to evaluate. The complicated industrial supply chains that are routine today began to develop in the 1970s, in good part because the spread of container shipping drove down the cost of transporting parts and components from one place to another. As I discuss in The Box, low transport costs made it practical for big manufacturers to decentralize: instead of running vast factories that churned out all sorts of inputs and assembled them into finished goods, they could farm out much of the work to specialized factories far away. Large retailers have done much the same. These long supply chains were seen as having two main advantages. Companies were able to draw on low-wage labor in developing countries, and they could gain economies of scale because a supplier might make just one or two components in enormous volume instead of lots of different things in small quantities. The result was lower costs—or so it seemed. Invariably, though, the beancounters who made these calculations were afflicted with a dangerous myopia. Supply chains can lower costs, but they can also create risks that aren’t always visible. Some of these risks are reputational: if a supplier is accused of being a bad actor by polluting the water or by running an unsafe workplace, consumers may blame the better-known company that contracted out the work. There may be legal risks if the supplier’s shoddy work results in unsafe goods. And then there is the risk of supply-chain interruption. Interruptions aren’t high-frequency events: in a well-organized supply chain, most goods get where they’re supposed to be almost all the time. But when goods aren’t delivered due to weather, labor unrest, electricity cutoffs, or earthquakes, the cost can suddenly become extremely high. The Kyushu earthquakes have halted plants that supply critical parts for many other consumer goods. But from what is known so far, the costs of this interruption may be less than might have been expected. The reason is that, with little publicity, companies like Toyota, Sony, and Honda seem to have reduced their potential losses by making sure that Kyushu is not their only source of critical inputs. While some of their plants will be shuttered, in some cases for several weeks, many of the key components produced in the earthquake-hit region are also made elsewhere. Those supply chain links will continue to function normally. After the Fukushima earthquake and tsunami in 2011, factories around the world shut down for lack of components made only in the devastated region. Major industrial companies appear to have drawn lessons from that experience. Some of them have protected themselves against earthquake-related disruptions by developing redundant supply chains, so that an event such as the Kyushu earthquake won’t cripple their operations. This undoubtedly reduces efficiency and raises the firms’ normal operating costs. But supply-chain redundancy is not a frivolous expense. Like most insurance, it seems wasteful only until you need it. This entry was posted in Manufacturing, Retailing, Trade, Transportation and tagged containerization on April 19, 2016 by Marc Levinson. The other night I watched Michael Pollan’s new documentary, In Defense of Food. I’m a great fan of Pollan’s 2006 book, The Omnivore’s Dilemma, which is gorgeously written and extremely thoughtful. The documentary, I regret to report, is neither. On the contrary, it’s a scattershot attack on what Pollan refers to as “industrial food,” with far too much romantic nonsense about what a natural diet ought to be and far too little serious discussion of the challenges of feeding a populous, highly urbanized world. It’s an opportunity missed. As I show in my book The Great A&P, an industrial food distribution system was a signal accomplishment of the twentieth century. Before it came along, most people’s diets were calorie-rich, nutrition-light, and boring. In the summer, sure, there were lots of fresh vegetables and fruits. In the winter, there were cabbage and potatoes and potatoes and cabbage. Protein mainly came from smoked or cured meats or from fish caught in polluted rivers. Lard was widely used in cooking and baking. Fresh milk, when it was available, was often unsafe to drink. It’s not as if people ate healthy. This isn’t ancient history. Growing up in the Midwest, I never ate fresh fish, because the food industrial complex hadn’t yet figured out how to deliver it a thousand miles from the ocean. Frozen foods were a staggering success in the 1950s mainly because they offered consumers unprecedented variety at any time of year. Today we may look down our noses at frozen orange juice as inferior to “fresh” juice, but when it arrived in grocery stores around 1950 average families could obtain essential vitamins in the middle of winter. That was an enormous change for the better. It should also be said—and Pollan doesn’t say it—that food used to be staggeringly expensive. As late as the 1930s, urban families in the United States routinely spent a third or more of their incomes on food, with much of that money going to keep inefficient wholesalers and retailers in business. Chains like The Great A&P in the 1920s and 1930s and Wal-Mart and Aldi more recently have made food consumers much better off by squeezing costs out of the distribution system. Much of this saving is achieved from economies of scale in production and distribution. Pollan, judging by the film, doesn’t much like economies of scale; he’d rather have us buying from farmers who are selling green beans they just picked by hand this morning. Nothing wrong with fresh-picked green beans, but there’s a trade-off that Pollan refuses to recognize. You can see it in the fact that those farmers’ market green beans cost three times as much as the green beans at Costco. Pollan’s documentary muddles a lot of things. It’s absolutely true, as he shows, that manufacturers of processed foods make misleading claims about their products. There is no doubt that some processed foods are unsafe and that many of them are unhealthy. I agree with his attack on what he calls “nutritionism,” the idea that adding a drop of one or another nutrient to a food product magically makes it better for us to eat. But the industrial food system has brought us a lot of benefits along with Big Gulps, Twinkies, and gluten-free burritos fortified with antioxidants. Pretending otherwise is just pop nutritionism. This entry was posted in Consumer, Manufacturing, Retailing, Reviews and tagged chain stores, food, retailing on January 30, 2016 by Marc Levinson. Elon Musk, the head of Tesla Motors, announced today that his company will not sue others who use Tesla’s technology. Rather than continuing to protect its inventions, Tesla is giving them away. This isn’t as daft as it sounds. In fact, I wrote about a similar situation in my book on containerization, The Box. One of the factors that limited the growth of container shipping, in the 1950s and early 1960s, is that there was no standard way to move containers. Some had slots at the bottom, so they could be lifted by forklifts. Others had eyes on the top, to be picked up by hooks dangling from a crane. Most had steel fittings at the corners, so that a crane could lower a steel frame, called a spreader, that could grab the container at all four corners and lift it. But the corner fittings and spreaders were patented, and no two companies’ designs were alike. What this meant was that a crane capable of handling a Grace Line container couldn’t lift a container belonging to Sea-Land Service or United States Lines. Everyone connected with the container shipping recognized that a standard design was essential if the industry was to grow. But each company thought its design should become the standard. Finally, in 1963, Malcom McLean, who had started the modern container shipping industry in 1956 with the ship line that became Sea-Land, agreed that his company would allow anyone to use its patents for the corner fitting and the twist-lock, a nifty little device that connects the corner fittings of two containers with the turn of a handle. The Sea-Land corner fitting became the basis for a worldwide standard. Once any crane in any port could lift any container, the container shipping industry burgeoned. Sea-Land became far bigger and more profitable by giving away its technology than it would have been had it kept its innovations to itself. This seems to be what Mr. Musk has in mind. Tesla, its stratospheric market capitalization notwithstanding, is a small manufacturer of what is very much a niche product. The company’s long-run prospects are limited unless electric cars go mainstream, but this won’t happen unless they become far cheaper than they are today. Cost saving is likely to require standardization of many components in electric vehicles. By giving away Tesla’s technology, Mr. Musk may be encouraging suppliers to develop components that can be sold to many electric vehicle assemblers, creating economies of scale. If that happens, costs and prices should fall, boosting sales of electric cars and accelerating the installation of charging stations. Down the road, Tesla could have an important role in a far larger industry, with profits to match. This entry was posted in Innovation, Manufacturing and tagged competition, containerization on June 12, 2014 by Marc Levinson. Sometimes a single number can reveal a great deal about economic change. Last week, I learned of one such number from Tsuyoshi Yoshida, the head of the American business of the Japanese ship line MOL: in 2013, more than half the waterborne cargo from Asia to the U.S. East Coast passed through the Suez Canal. Why is this important? For the past 20 years or so, China has been the world’s workshop, shipping out tens of millions of containers stuffed with everything from acrylic resins to zippers. If they are destined for the Eastern United States and traveling by ship, almost all of those containers cross the Pacific Ocean and pass through the Panama Canal to ports along the Atlantic and Gulf coasts. Cargo from China to North America doesn’t move via Suez, because the Pacific route is much faster. But now, China’s manufacturing sector is struggling, with factory output at an eight-month low. As wages in China rise and credit gets harder to come by, makers of labor-intensive goods such as clothing and toys are relocating to cheaper locations in Southeast and South Asia. From newly industrializing countries like Cambodia and Bangladesh, the fastest route to the U.S. East Coast is through Suez, not across the Pacific. In just four years, according to Mr. Yoshida, the proportion of East Coast-bound cargo from Asia that transits the Suez Canal has risen from 39% to 52%, indicating how quickly the shift away from China has proceeded. This shift has to be worrying to the Panama Canal Authority, whose ongoing expansion project will allow larger ships to pass through the canal by 2015 or 2016. The canal widening, which may end up costing $6 billion or so, is premised on an increasing flow of cargo from Asia to the East Coast. But if other Asian countries supplant China as sources of U.S. imports, the Panama Canal may face a challenge meeting its traffic forecasts. This entry was posted in Manufacturing, Shipping, Trade, Uncategorized and tagged containers, Manufacturing on March 30, 2014 by Marc Levinson. Bad Brands, or just Bad Management? “Brands are finding it hard to adapt to an age of skepticism,” The Economist declared a couple of weeks ago. “Brands have never been more fragile,” James Surowiecki agreed in The New Yorker. I don’t buy the story. In an age when consumers suffer under ceaseless blather and excessive choice, brands matter more than ever–unless their owners devalue them. In my book The Great A&P, I wrote about one of the very first brands, a tea called Thea-Nectar. It was introduced in 1870 by The Great Atlantic & Pacific Tea Company, which operated a chain of tea stores and also sold teas by mail. The company’s challenge was that its young hyson and Souchong teas, sold loose by the pound, were identical to the teas sold by others. Thea-Nectar, by contrast, was sold prepackaged, in half-pound or pound boxes with a picture on the front. It was said to be a unique mixture of teas that were dried on porcelain, with no coloring or impurities. Thea Nectar was a hit, throwing the tea trade into turmoil and helping the Great Atlantic & Pacific distinguish itself from dozens of competing tea companies. The arrival of other branded products from companies such as H.J. Heinz and Kellogg allowed grocery stores to offer something besides bulk products. It also permitted chains to prosper, as they could take advantage of volume discounts in dealing with manufacturers. By the early twentieth century, the Great A&P was already using store brands to segment the market, offering its customers a choice of good (Iona lima beans), better (Sultana lima beans), and best (A&P lima beans). House brands like Ann Page and Eight O’Clock Coffee became powerful tools for drawing shoppers into A&P’s stores. Obviously, a few things have changed since those days, and the new case against brands is that consumers don’t need them. Once, brands stood as guarantors of quality, the argument goes; now, however, consumers can check reviews online before they go shopping, so brand names are no longer necessary to provide a signal of quality. I think that analysis is off base. Brands lose value not because consumers no longer want them, but because managers abuse them. Let me offer a few examples. One is Sony. In the 1980s and early ’90s, Sony’s Trinitron TVs were among the best on the market, and were priced accordingly. Sony tried to extend its brand into personal computers, which it sold at a premium price. Unlike its TVs, though, Sony computers were not demonstrably better than other computers. Sony might well have built a successful business by selling its branded machines at the same prices as its competitors, picking up volume that would allow it to lower per-unit manufacturing costs. But rather than offering a name brand at the same price as a no-name, its managers persisted in charging a premium price without offering a premium product. Consumers walked away. A second example stems from the recurrent cases of salmonella in ground beef, which have caused numerous illnesses and too many deaths in recent years. In one of those episodes, a couple of years ago, it was revealed that beef suppliers’ standard contracts with supermarkets prohibited the retailers from testing for salmonella. I understand why a meat processor would propose such a contract, but I don’t understand why a retailer would sign it. It’s in the retailer’s interest for shoppers to assume that it goes to extra lengths to sell only high-quality merchandise. For a retailer to admit that it cannot monitor the quality of the goods it sells is to tell customers to look only at the price, which in general is not a wise business strategy. A third example concerns a shoe manufacturer, for whose products I used to pay dear. One day I was in its store and found men’s dress shoes, made in China, selling for $49 under the same brand name as the $250 shoes I was contemplating. Naturally that set me to doubting the quality of the $250 shoes I was about to buy. I left the store. I still by brand-name shoes, but from another company that does not bestow its brand on cheap shoes from China. In each of these cases, the issue was not that the brands lacked value, but that their owners succeeded in devaluing them. The same, unfortunately, has been true of A&P. The company is still around, but after decades of mismanagement it has pretty much destroyed the value of its brands. The giveaway: at most of its stores you’ll be hard pressed to find the A&P name on a single product, much less above the door. This entry was posted in Consumer, Manufacturing, Retailing and tagged chain stores, discounting, retailing on February 19, 2014 by Marc Levinson. Where was the value added? Folks are finally coming to understand that a lot of the value of things we buy represents the fruit of intellectual effort, not physical transformation. This is important, because it changes the way we think about things like the balance of trade in goods and the loss of jobs in manufacturing. Apple was one of the first companies to suggest that where its products are engineered, designed, and marketed matters much more than where they are put together, which is why the words “Designed by Apple in California. 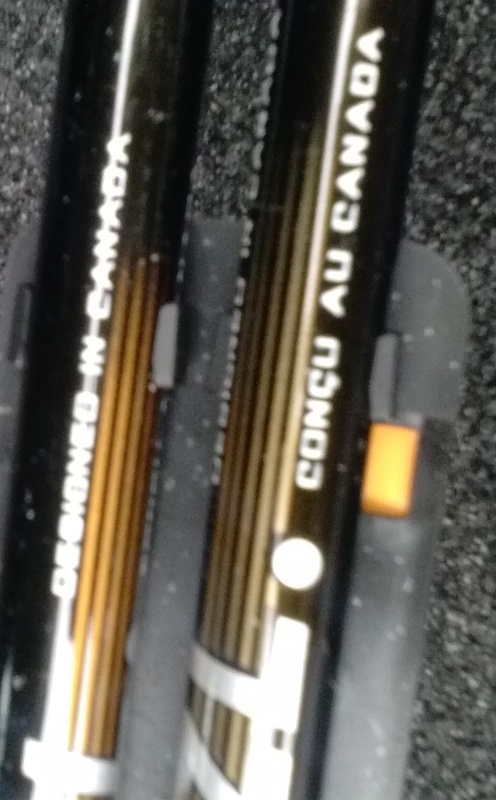 Assembled in China.” are stamped into the aluminum case of computer on which this post is being written. 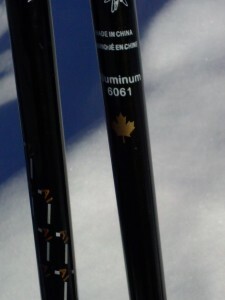 On a holiday trip to Canada I noticed that Lazl, the company that made my ski poles, is pushing the same idea. The company wants you to know that its poles are “Designed in Canada.” The words “Made in China” are almost an afterthought. This entry was posted in Manufacturing, Trade and tagged Apple, Manufacturing, retailing, value added on January 1, 2014 by Marc Levinson.